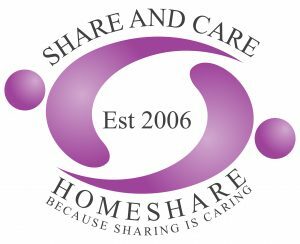 A friendly but frail elderly person is seeking a Sharer for their home to give them a mix of 15 hours’ help and company each week in exchange for the low-cost accommodation. This person would really benefit from some practical help around the house including cooking some meals (simple English plain food, omelettes etc), helping with light cleaning and other help round the house, friendly company plus the reassurance of having someone around their home in the evenings/overnight. The accommodation on offer is a doubled bedroom furnished with double bed, wardrobe and chest of drawers, and shared use of the bathroom, kitchen, garden and other facilities. The property is conveniently located in the Brunton Bridge area of Newcastle, just ½ mile from Kingston Park Metro Station. We charge a monthly facilitation fee EACH MONTH INSTEAD OF RENT of £75 + VAT [total £90] for doing this. You may be asked to make a monthly contribution of up to £25 towards bills/council tax [students are exempt from council tax].